Kilimanjaro, with its three volcanic cones, Kibo, Mawenzi, and Shira, is an inactive stratovolcano in north-eastern Tanzania and the highest mountain in Africa at 5,895 metres or 19,341 ft above sea level (the Uhuru Peak / Kibo Peak). Mount Kilimanjaro is the highest freestanding mountain as well as the 4th most prominent mountain in the world, rising 5,882 metres or 19,298 ft from the base. Mt. 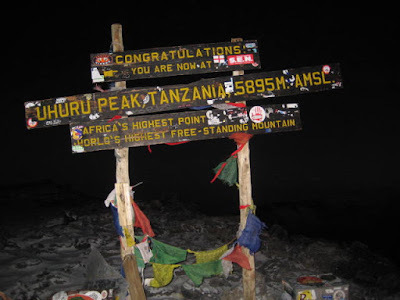 Kilimanjaro is the highest mountain in Africa and fourth highest of the Seven Summits. 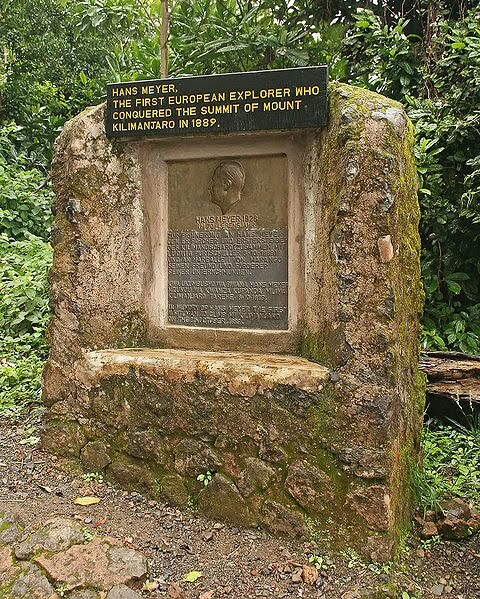 It is the tallest freestanding mountain in the world, with Uhuru Peak rising to an altitude of 5,895 m (19,341 ft) AMSL (Above Main Sea Level). Being a sky island, Kilimanjaro has unique vegetation such as the water holding cabbage in the tussock grassland and other plants like this all adapted to living in alpine conditions. Kilimanjaro has a large variety of forest types over an altitudinal range of 3,000 m (9,843 ft) containing over 1,200 vascular plant species. Montane Ocotea forests occur on the wet southern slope. Cassipourea and Juniperus forests grow on the dry northern slope. Subalpine Erica forests at 4,100 m (13,451 ft) represent the highest elevation cloud forests in Africa. In contrast to this enormous biodiversity, the degree of endemism is low. However, forest relicts in the deepest valleys of the cultivated lower areas suggest that a rich forest flora inhabited Mt Kilimanjaro in the past, with restricted-range species otherwise only known from the Eastern Arc mountains. The low degree of endemism on Kilimanjaro may result from destruction of lower altitude forest rather than the relatively young age of the mountain. Another feature of the forests of Kilimanjaro is the absence of a bamboo zone, which occurs on all other tall mountains in East Africa with a similarly high rainfall. Sinarundinaria alpina stands are favoured by elephants and buffaloes. On Kilimanjaro these megaherbivores occur on the northern slopes, where it is too dry for a large bamboo zone to develop. They are excluded from the wet southern slope forests by topography and humans, who have cultivated the foothills for at least 2000 years. This interplay of biotic and abiotic factors could explain not only the lack of a bamboo zone on Kilimanjaro but also offers possible explanations for the patterns of diversity and endemism. Kilimanjaro's forests can therefore serve as a striking example of the large and long-lasting influence of both animals and humans on the African landscape. Early maps of Kilimanjaro were published by the British Government's Directorate of Overseas Surveys (DOS 422 Y742) in 1963. These were based on air photography carried out as early as 1959 by the RAF. These were on a scale of 1:50,000 with contours at 100 ft intervals. These are now unavailable. Today, there have been 152 visitors (632 hits) on this page!